The sixth domestic branch of Tumo Center for Creative Technologies will open in the city of Masis, located nine kilometers south of Yerevan. The center which will be built in partnership with the Masis Development Foundation, will host up to 1,000 students. 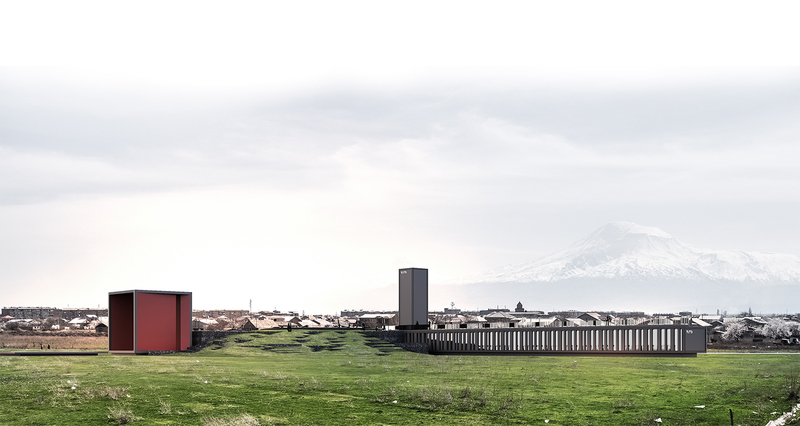 It will be the first Tumo built in Armenia proper located south of Yerevan. And in another first for the Tumo program, French will be a language of instruction at the Masis center. It will also result in the the exchange of instructors from France. A branch of the French University of Armenia is also expected to open in the town. It should be noted that a Tumo Center is scheduled to open in Paris this coming September. The Masis Development Foundation, which was founded in November of 2015 by the Adibekyan Family Foundation for Advancement (AFFA), has already realized several important projects in Masis worth millions of dollars, including the Masis Youth Center and the Masis Sports Complex. Its goal is to advance the social, economic, and culture development of Masis. It is run by the Russian-Armenian businessman Gagik Adibekyan, a former business partner of Ruben Vardanyan, with a history of major charitable contributions in Armenia, chief among them his role as a founding patron of UWC Dilijan. The configuration of the center itself will be very familiar to those who are familiarized with the Tumo program. It will have the same four cornerstone areas as other Tumo Centers: web development, video game development, animation, and digital media. It will then build upon that with specialized areas such as robotics. The center will be equipped with the familiar state-of-the-art technology and equipment, and courses will be taught by industry professionals, as well as regular instructors, using real life applicable projects. According to the latest update on the project by architect Bernard Khoury, the complex will be located at the northern most point of the town, near the H-12 Masis highway, leading to the M-2 national highway, and will serve as the founding focal point of a new 280,000 square meter park for the town. 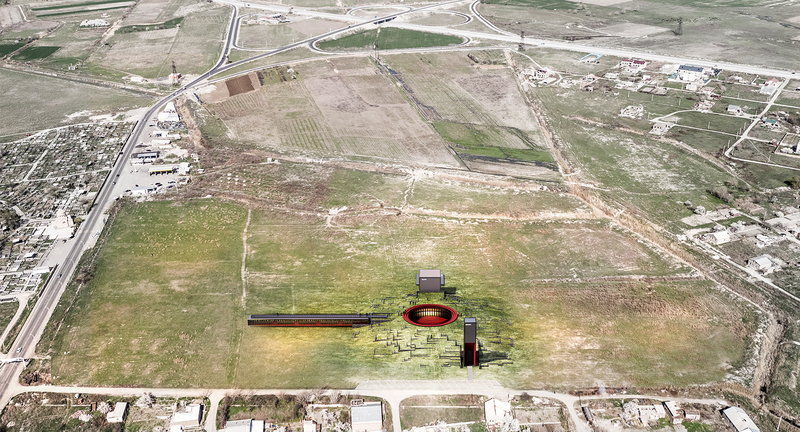 The center point of the complex, consisting of a a ring, will function as a general workstation, similar to those found in the other Tumo Centers. 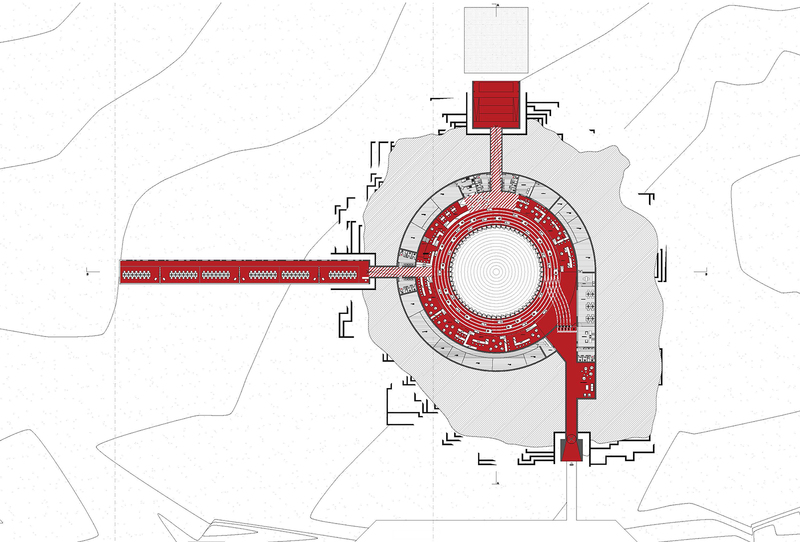 At the center of the ring is a multi-functional outdoor courtyard. A 65 meter needle portion extending towards the west, with open views to the outside park on either side, will be used for the specialized classes. 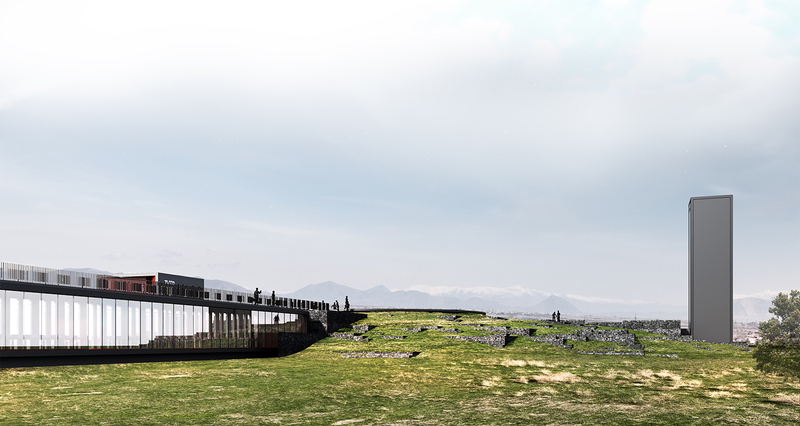 A cube measuring twelve meters on every side located in the northern direction will serve as an outdoor theater for the entire community and a tower in the southern direction near the residential area of the town will serve as the entrance point to the complex. Tumo Masis will become the sixth domestic branch of Tumo, following Tumo Koghb which is currently in the final stages of construction. They were preceded by Tumo Yerevan which opened in 2011, Tumo Dilijan which opened in 2013, and Tumo Stepanakert and Tumo Gyumri which opened in 2015. Until now the expansion of the Tumo program had been taking place on a charitable basis. While Tumo Yerevan was now covering its own costs through rental fees of the upper levels of its building, the other Tumo Centers were founded and operated due to the sponsorship of non-profit organizations; Tumo Gyumri and Tumo Stepanakert were funded by AGBU, Tumo Dilijan by the Central Bank, and Tumo Koghb by the Koghb Foundation. However, in February 2018, Tumo announced its international expansion to Paris, Moscow, Beirut, and Tirana, Albania (the largest among these) in the current year, with a half a dozen more locations after that, including Dubai, Doha and Abu Dhabi. Its expansion was made possible by the attention the program had attracted from abroad, and the willingness of several foreign nations to pay Tumo franchising fees to open their own branches. Tumo explained that it will use the franchising fees from those locations to significantly increase the rate of expansion of the free-of-charge program across Armenia. 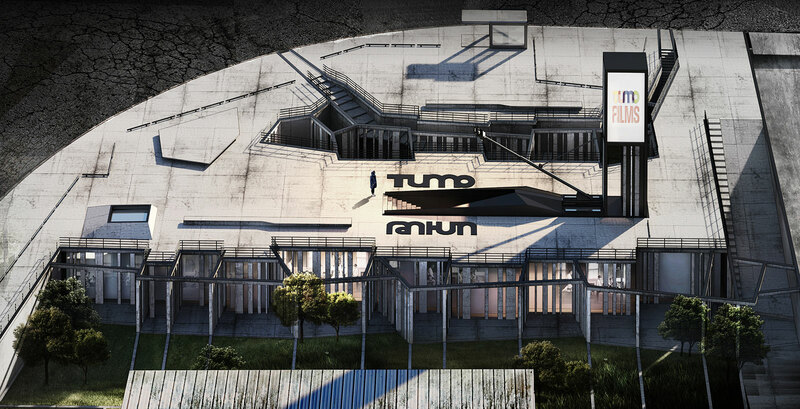 Moreover, with Tumo Studios, Tumo Labs, and Tumo Army, and the expansion of Tumo Yerevan into a large complex in Tumanyan Park, the Tumo program is expected to expand significantly beyond the current scope as an alternative after school education program. One of the ultimate goals of Tumo is to make the program accessible to every child across Armenia.